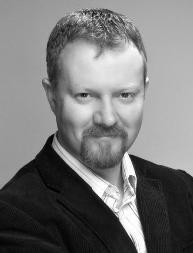 Glen Mulcahy is Innovation Lead, Technology with RTÉ-Irelands National Public Service Broadcaster. His broadcast career began in 1997 with the fledgling TnaG (later TG4) and later he moved in production resource management with the RTE irish language news service: Nuacht. In recent years he has trained with the BBC in multi-camera direction and Media Training through CIRCOM regional. He is a certified Apple support Professional, an active AVID Media Composer editor and an enthusiastic photographer. He closed his photography studio (Redeye-Photography) in 2009 as a result of the recession but continues to produce portraits for his own projects. In the last two years Glen has led the development of a Mobile Journalism production model which harness the potential of smartphones as content creation devices. He has travelled around Europe to speak at conferences and in Circom member stations about the project and the Apps and Accessories he recommends. He is also very interested in DSLR Cinematography and Timelapse. TWITTER @glenbmulcahy tweet if you want to get in touch. Note: Views expressed herein are strictly personal and in no way represent the views or opinions of RTÉ. Really nice ‘distressed-look’ blog. The bits about me you’re way kind. Lets just say I have an itch I keep scratching. Dirk and Michael do wear Doc Martins. I met Dirk at ONA (NY) and he was to say the least v humble – given his stature. Michael keeps me et al going with his expansive thoughts geared towards the video event-horizon. Interesting what the TV people say about cinematic video, because that schism is artificial born from TV choosing a less aesthetic option (cost) to Cinema during its birth. But, the way camera lenses are developing and cinematic language is being dragged from docs & cine to new TV journalistic modes ( seen more online) it’s really only a matter of time before either TV adopts Cine codes with still its fidelity to truth and the story, or a new model of TV news arises. Put another way, if journalism is changing ( which many agree it is) then our methodologies and output will need to change. And one of the assets we’re most likely to adopt is richer “lens-driven”, cinematic narratives, camera-framing-movement…. that’s my itch anyway. I just watched your Vimeo video on iPhone 4 Mobile Journalism. Great stuff! I manage the Mobile Media Toolkit, a collection of resources, how-to guides, mobile tool reviews, and case studies that help people make sense of mobile media. I included mention of and link to your video on the Toolkit. Please check it out and let us know how we can help in your work. We’d love to have you submit a guest post or guest video for the site. Check out the new Mobile Media Toolkit! A global network of people using mobile technology for social impact. I came across your blog just today and i am very impressed, i am a Director of a new start-up company called Seamless http://www.seamlessphoto.com which will launch in December of this year, if you have an e-mail address I could contact you on, I would like to discuss something with you please. Very good info on your site – thanks very much. Congratulations for your blog. I found it very usefull. I have a question, though. In your blog you identified a problem but I couldn’t find the answer (if it exists). I’m using the Filmic Pro app in my iPhone 4S to report from WDC, but a couple of weeks ago I bought the RODE Mic SmartLav and… the sound is too loud in my Filmic Pro videos (I’ve tried the SmartLav with the build-in iPhone Camera and it works perfect). I have no immediate plans to deliver training in Italy, though I would love to. Unfortunately I just did a course in the UK for Journalism.co.uk only last week. Sorry I didn’t reply to you sooner. I’m hoping to start delivering training fro the public in RTE in Dublin – if thats of any interest? I just happened upon your site. So much that is helpful here. I’l like to share my app/website with you. It’s a short-form video/ micro-content app for rest.’s, food trucks, kitchens in general. It’s industry driven first person narratives through video centered around a restaurant’s specials of the day. Users post using the native camera of the iPhone. Being fairly new at trying to coax the best possible images and sound from the device, I thought I might ask you what kind of setup you think would work best. We just launched here in New Orleans and we are really taking the city by storm since our first article was published on Wed. Kinda crazy really. Anyway, I just want to help generate the best possible content for my posts at my restaurant. Thank You in advance and I’m so glad I found your site.